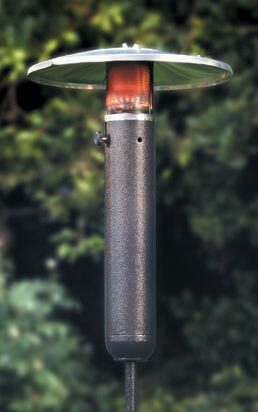 The Gas Tiki Styled Heater by Dayva International is the newest concept in outdoor heating. Perfect for the beach, backyard, patio, deck, camping, or for practically any special outdoor event. 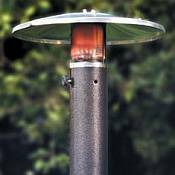 The Tiki Styled Heater spikes can go into sand, dirt, or grass. This 10,000 BTU heater has an adjustable flame and provides a 10 foot diameter circle of warmth. Beautiful and contemporary, this heater stands up to 73" tall -- sectional poles allow for shorter heights. Anodized aluminum and stainless steel construction. Uses 1-pound propane cylinder (not included). For outdoor use only.